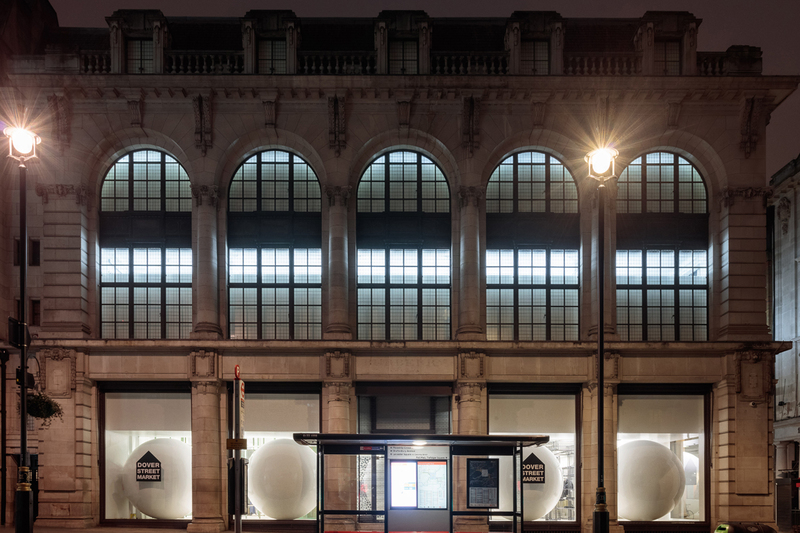 In the twelve years since it first opened its glass-fronted doors onto Mayfair’s Dover Street, Rei Kawakubo’s concept store has changed the way fashion is selected, displayed and sold. 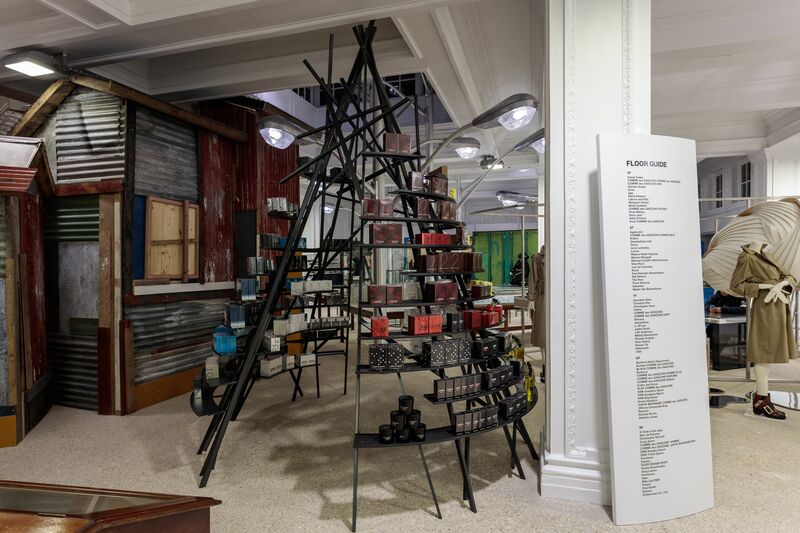 Mixing carefully selected items by established brands, emerging designers and revered names the likes of Azzedine Alaia with her own designs, Dover Street Market presents a highly personal edit of contemporary fashion, changing seasonally. In addition to clothing, the store allows designers to creatively interpret the space, extending a carte blanche. When Craig Green’s work first arrived at Dover Street Market, the designer celebrated the occasion with an oversized blue octopus installed in the shop window, tentacles astray and eyes set firmly on the passing crowd. For the new Dover Street Market, Green created another otherwordly animal; this time around it’s a fish made from black tarpaulin. 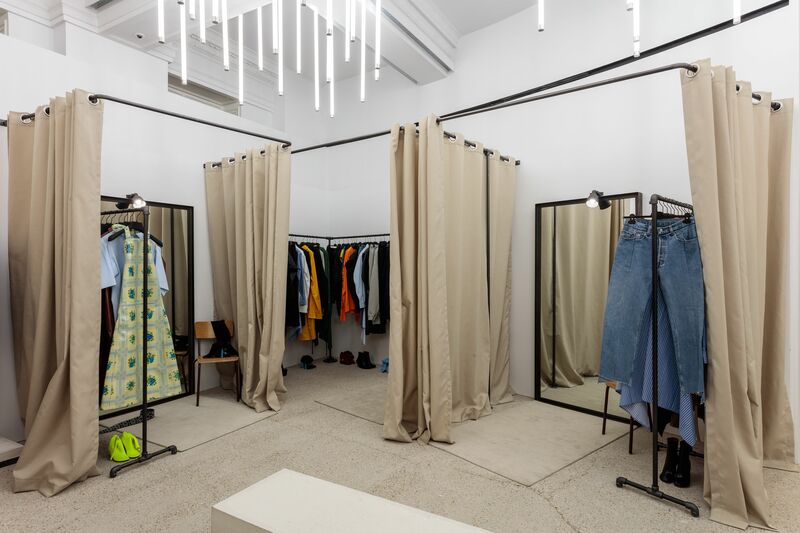 Such collaborations are also key in Dover Street Market’s new home at 18-22 Haymarket, which joins the two international outposts in New York and Ginza. Standing five storeys high, with original columned windows and chiseled details, the London address was built by Thomas Burberry in 1912. 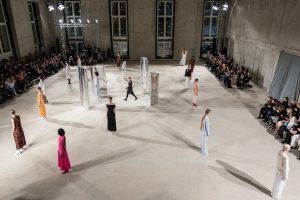 Rei Kawakubo decided to leave the building’s exterior, ceilings and central staircase intact, designing all other Comme des Garçons brand and communal areas such as changing rooms and The Perfume Tower. Other areas and pockets hidden in the vast store carry the stamp of the designer chosen to fill it. 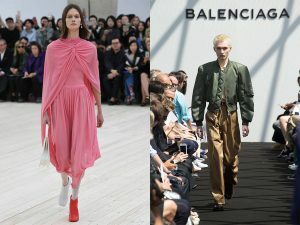 NEWGEN designer Molly Goddard chose patchwork rugs, which have previously inspired her work, to stage set chiffon tutus and gingham dresses. Very different to this crafty theme is The Row’s corner, a Manhattan loft with vintage double wardrobe by Charlotte Perriand taking centre stage. 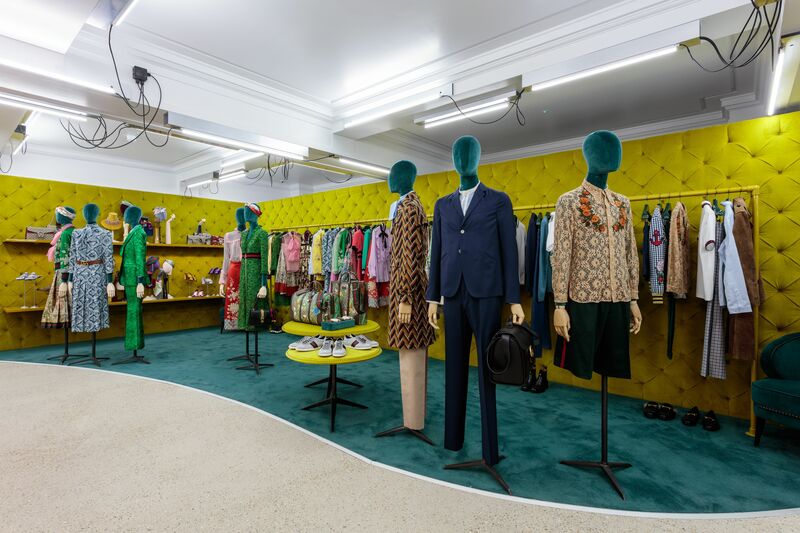 Gucci’s space, specifically designed for Dover Street Market, sets Alessandro Michele’s designs in green and turquoise plush quilted fabrics, while Vetement’s environment is much more utilitarian with oversized changing room curtains as dividers. Jonathan Anderson fills two spaces with his designs. His collections for Spanish house Loewe have previously used mirrored and clear fabrics, at Dover Street Market this is echoed in plexi and cellophane wrapped concrete. For J.W. 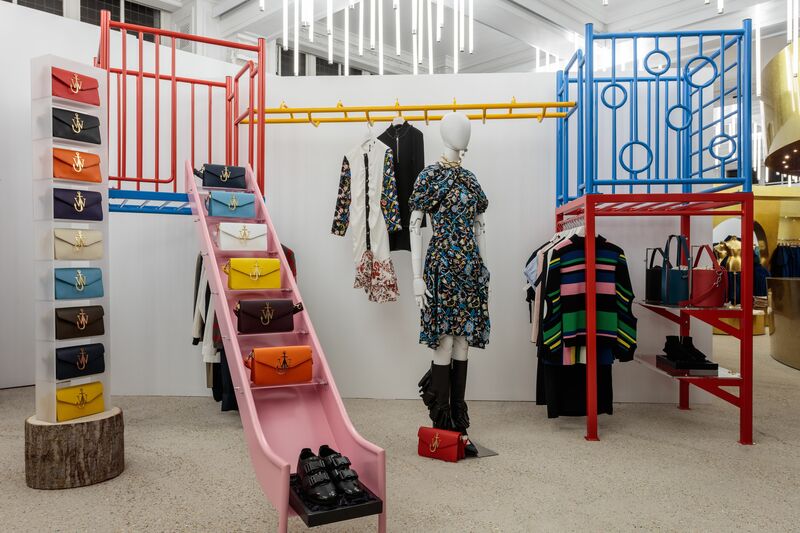 Anderson, the designer recreated a playground remembered from his upbringing in Northern Ireland in pastel shades. 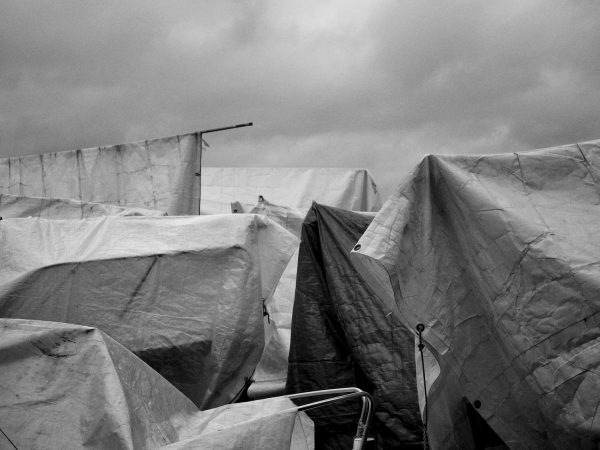 Similar to her textile designs, Chitose Abe repurposed the traditional to create the new. A collaboration with Tokyo art collective Glechop, the Sacai space fuses antique wardrobes into a wall length display case; a chest of drawers is completely taken apart and its body replaced with a Plexiglas cube. 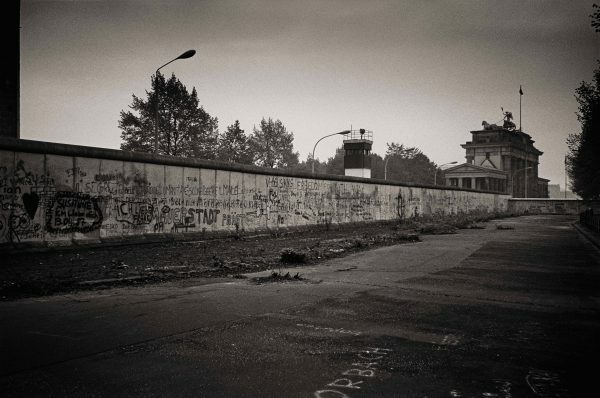 At over 31, 384 sq ft, there’s much to discover on Haymarket.